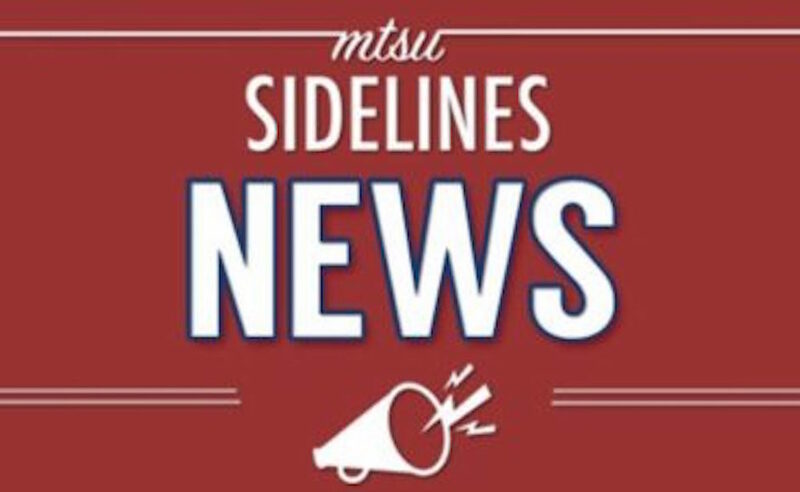 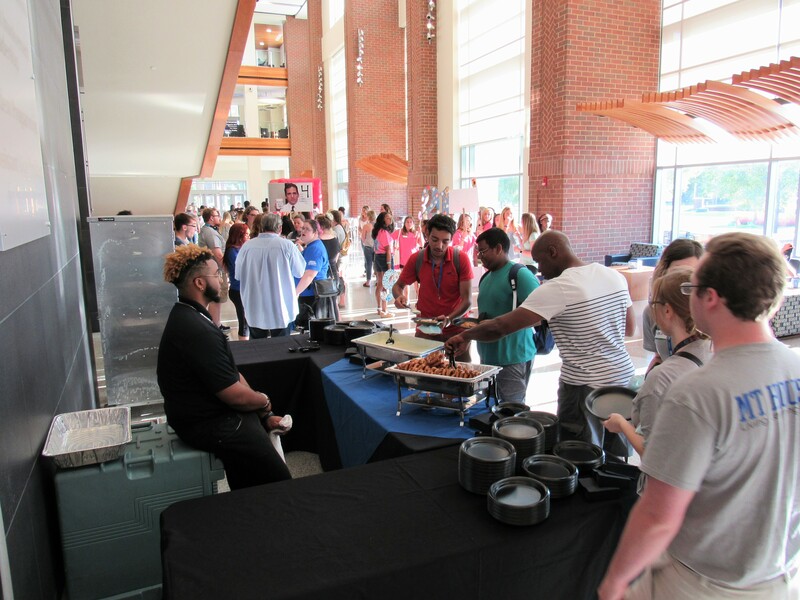 A dinner and carnival kicked off MTSU’s Week of Welcome at the Student Union Commons on Friday, the first Connection Point event of the semester. 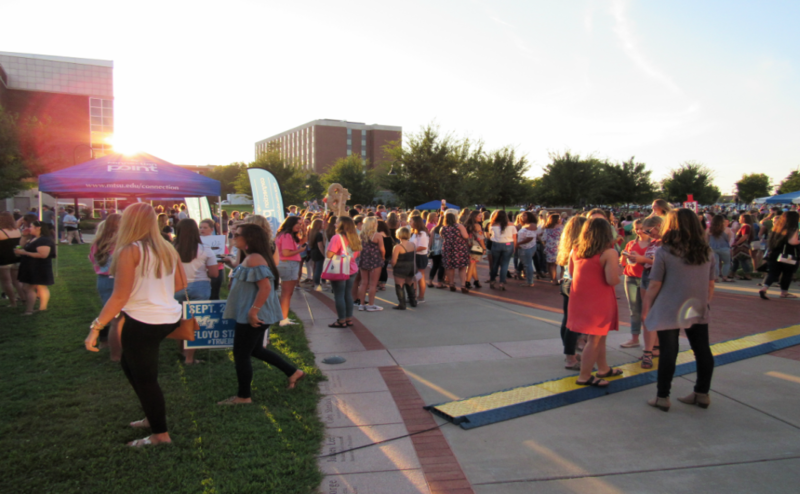 Students came out for free food and the opportunity to meet and play games with other incoming and returning students. 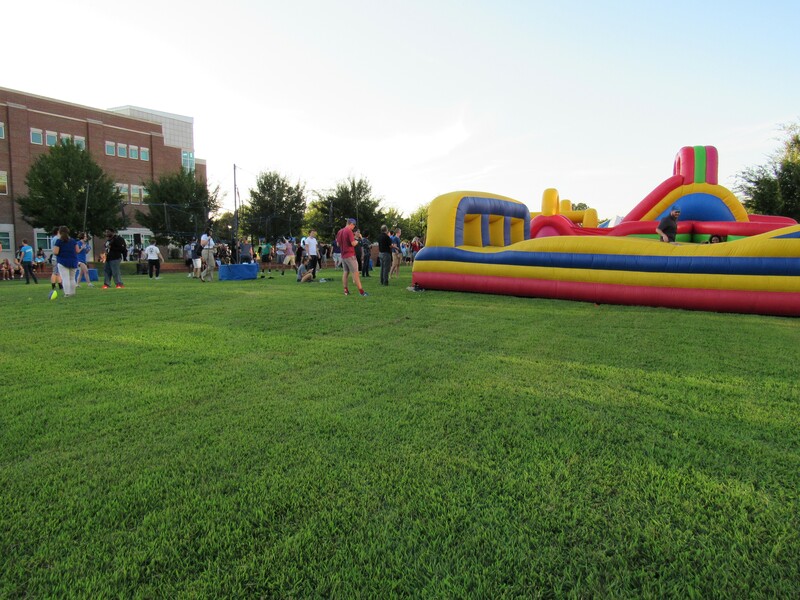 A wide variety of inflatables and games were set up inside and outside the Student Union Building, along with vintage arcade games, free t-shirts and Connection Point pins for everyone that came to the event. 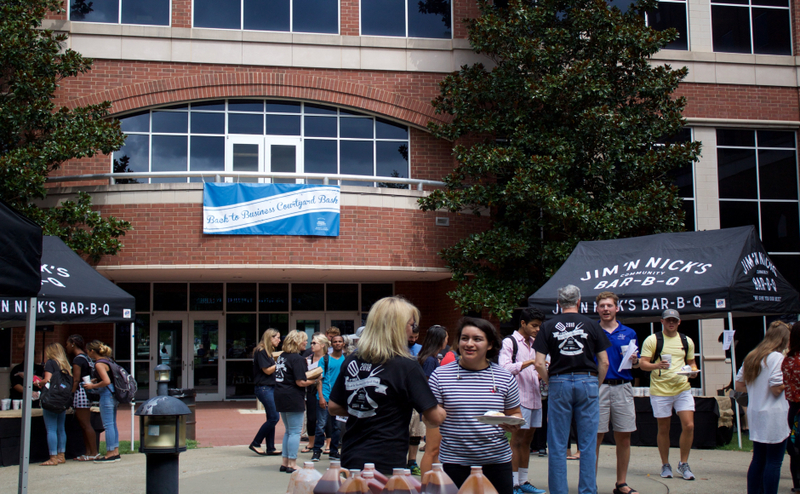 Assistant Vice President for Student Affairs Danny Kelley assisted in the operations of the event. 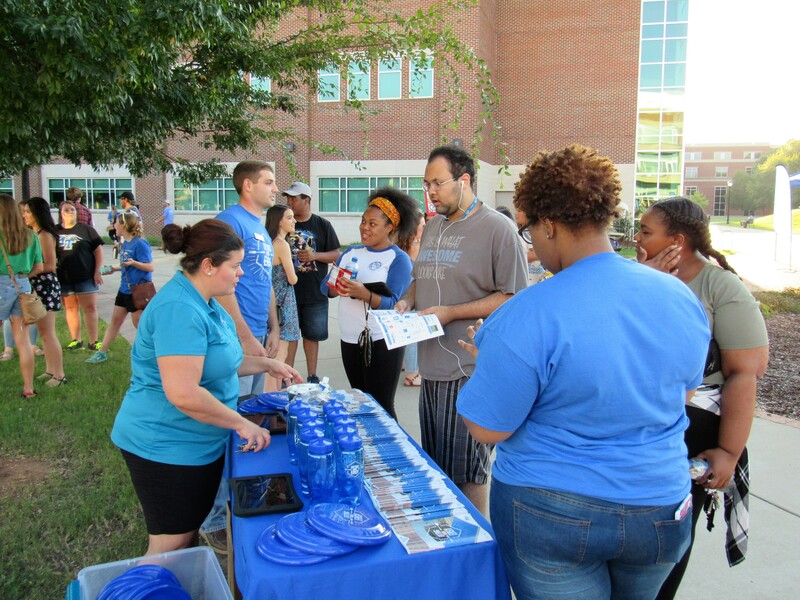 MTSU student Hailey Hall greeted attendees, scanned them in at a Connection Point booth and handing out pins. 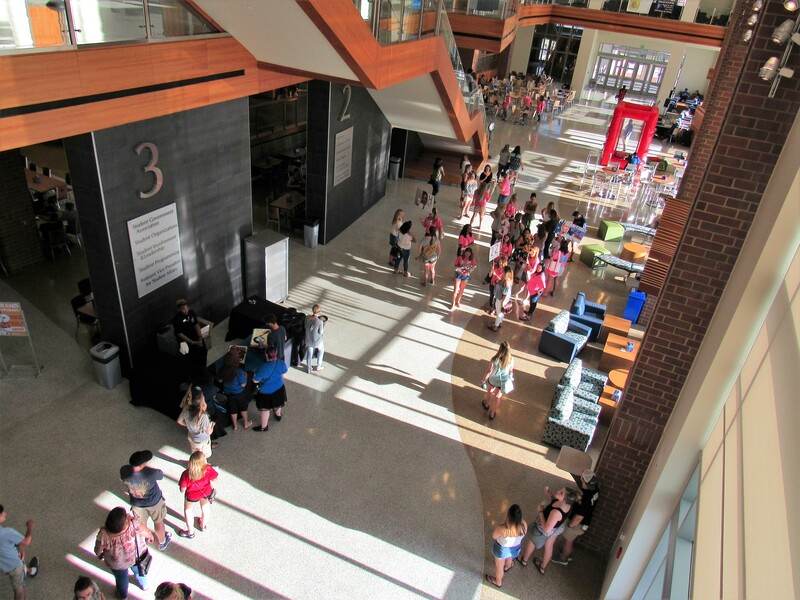 “Today is important because it’s your first introduction to campus,” Hall said. 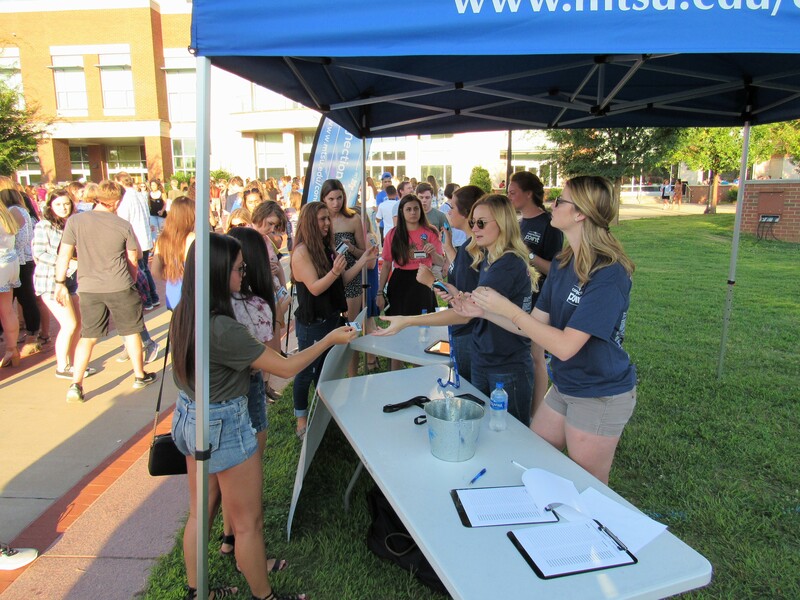 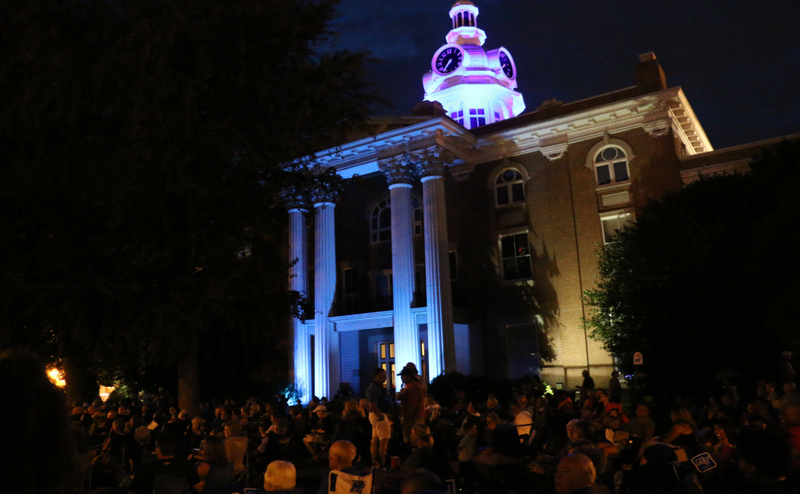 “Students can get involved as soon as they get here, and it’s a fun way to do it,” said Hall, who attended many Connection Point events during her first semester at MTSU, which is the reason she decided to get involved. 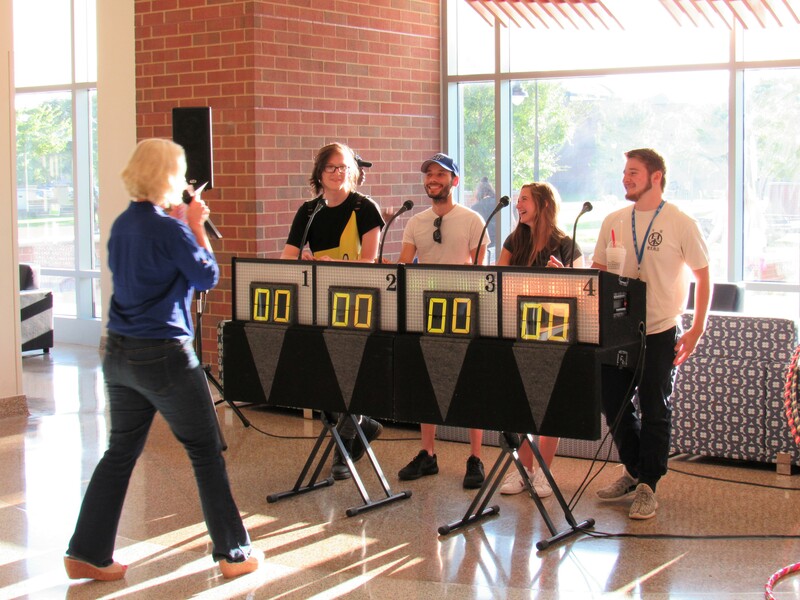 She said she highly recommends other students become involved in on-campus events. 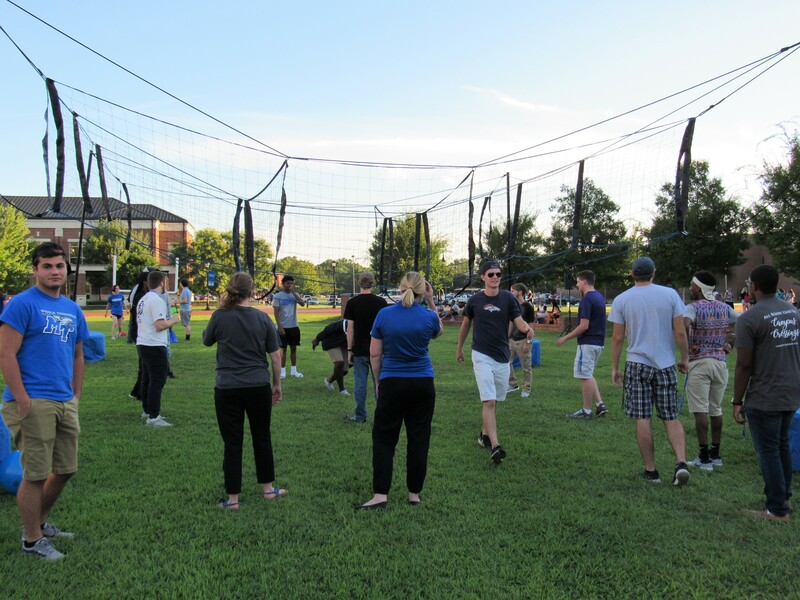 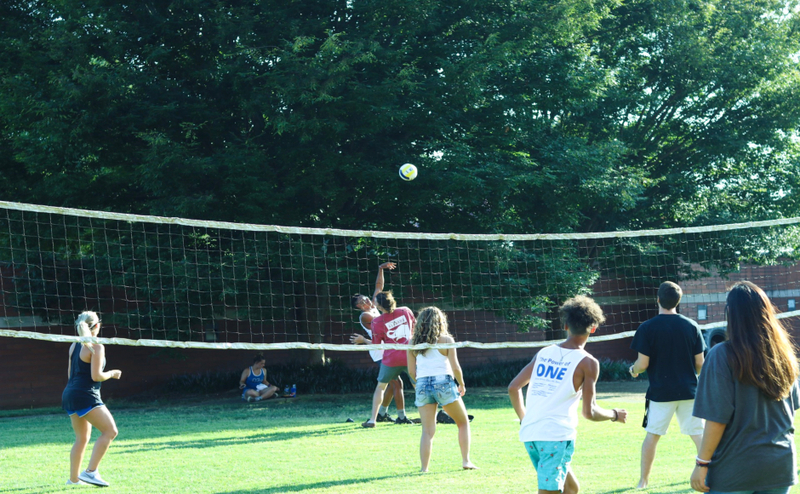 “The whole premise behind Connection Point is to get incoming students involved with out-of-classroom experiences to mainly get them connected to their university and to get them out there networking, meeting new people and becoming more involved on campus,” Kelley said.